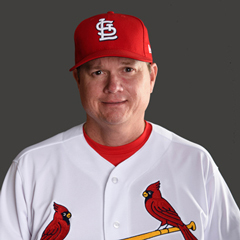 Third Base Coach Mike Shildt has been named Bench Coach. The team also announced that Ron “Pop” Warner, who was named Assistant Field Coordinator last spring, will begin serving his promotion in that role after being asked to assist the Major League coaching staff for much of the 2017 season following some in-season changes. Oquendo, 54, who due to health reasons, had stepped aside as the team’s Third Base Coach just prior to the 2016 season, returns to the Major League staff after serving as Special Assistant to the General Manager in 2017. 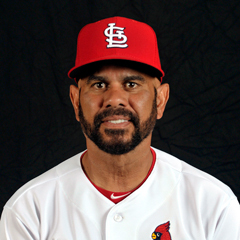 Oquendo has spent 16 seasons as the Cardinals Third Base Coach (2000-15) and was the team’s Major League Bench Coach in 1999 after spending the 1997 and 1998 seasons working in the farm system for St. Louis. The “Secret Weapon” enjoyed a 17-year professional playing career, including stints in the majors with the New York Mets (1983-84) and St. Louis Cardinals (1986-1995). Oquendo was voted in 2005 as the top Utility Man on the All-Busch Stadium II team. McGee, 58, joins the Major League coaching staff for the first time, having spent the 2013-17 seasons serving as a Special Assistant to the General Manager. A member of the St. Louis Cardinals Hall of Fame, McGee enjoyed a banner career that included National League MVP honors in 1985, two league batting titles (1985 & 1990), four All-Star Game selections (1983, 1985, 1987 & 1988) and three Rawlings Gold Glove awards (1983, 1985 & 1986). After breaking onto the scene in a big way during the Cardinals World Series win in 1982, the switch-hitting McGee went on to spend 18 years in the majors with the Cardinals (1982-90 & 1996-99), Oakland A’s (1990), San Francisco Giants (1991-94) and Boston Red Sox (1995), accumulating 2,254 hits, 352 stolen bases and a .295 career batting mark. Shildt, 48, has been a member of the Cardinals organization since 2004 and he spent this past season serving as Quality Control Coach and also Third Base Coach with the Major League team. Shildt, who managed for eight seasons in the Cardinals farm system at Memphis (2015-16), Springfield (2012-14) and Johnson City (2009-2011), was voted the recipient of the highly-distinguished George Kissell Award in 2010 – an award that honors excellence in player development. In addition, the Cardinals are still working to fill coaching vacancies on their Major League staff for both Pitching Coach and Bullpen Coach. Well, this is a surprise! 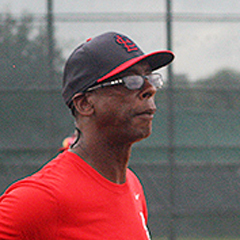 The return of Oquendo suggests some behind-the-scenes changes in game preparation could be ahead, especially on defense, and the addition of McGee in an undefined role adds credibility and experience to a relatively young staff. Oquendo and McGee worked together closely in tutoring minor leaguers and may be asked to bring better fundamentals to the 2018 Cardinals. McGee’s focus has been baserunning and outfield defense. Shildt’s move to bench coach, his third different assignment in just one year on Mike Matheny’s staff, is a further step in his ascension through the organization. Warner’s return to assistant minor league field coordinator had previously been announced, but in doing so, he brings more first-hand knowledge of the day-to-day routine at the big-league level. The bench coach job had only been open for three days after David Bell left to join the San Francisco Giants as Director of Player Development. These moves are positive for the team itself, including building confidence of the players. In the external picture, the immense popularity of both McGee and Oquendo generate hope for 2018 across a fan base that has grown increasingly restless after two consecutive non-playoff seasons. However, roster changes may also be needed to return the Cardinals to the post-season, meaning more work ahead for the front office.